Shauna was quite surprised when two years ago she was diagnosed with Polycystic Kidney Disease (PKD), and was told on that same day that she needed a kidney transplant. Earlier this year the doctors told her she should prepare to go onto dialysis because her kidneys were functioning at only five percent. Though family members had been tested as potential living donors, none came up as a match. Her co-workers at Brandywine Valley Veterinary Hospital were concerned about her worsening condition and started an in-house living donor drive to find her a match. Much to everyone’s shock and delight a match was found, and the transplant is scheduled for December 8th at the Hospital of the University of Pennsylvania. You may know Shauna from: growing up in Morenci, AZ, her travels in Utah, California, Florida, Japan and Germany or more recently, through her work as a knowledgeable and caring Veterinary Assistant at Brandywine Valley Veterinary Hospital, in Coatesville, PA., or from Home Depot in Parkesburg, PA., where she has worked in the garden department. 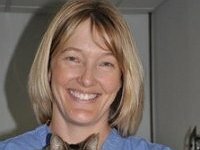 After a career of helping others, and giving loving care to thousands of pets, Shauna is now the one who needs our help. Transplantation is life-saving but very expensive. Even with health insurance, Shauna will have many uninsured transplant-related expenses such as: co-pays and deductibles, doctor visits, travel to and from the transplant center in addition to the costly immunosuppressant medications that she will need to take for the test of her life – expenses that could all top $38,000. To help with the ﬁnancial burden of Shauna’s uninsured expenses, a fundraising campaign in her honor has been established with HelpHOPELive, a trusted nonproﬁt organization that has been providing community-based fundraising guidance to patients and their families for more than 30 years. All donations are tax deductible, are held by HelpHOPELive in the Mid-Atlantic Kidney Transplant Fund, and are administered by HelpHOPELive for transplant-related expenses only. Please consider making an end-of-year tax-deductible donation today and click the DONATE NOW bar. Your support is literally lifesaving, and will enable Shauna to regain her health for a lifetime. On behalf of Shauna and those who know and love her, I thank you in advance for your kindness. I am celebrating our two week surgery anniversary today! It is such a gift to see Shauna recovering so quickly and that the kidney is working so well for her! Congratulations Shauna! Shauna I just found out today about your transplant. God bless Anne for her incredible gift to you. I'm so thankful that you are doing well. I had no idea you were dealing with this. As much as I am in Brandywine, I never noticed any change in your warm and uplifting personality. Your wonderful smile is always welcoming. I will keep you in my prayers. Happy Valentines Day Shauna! We Love You and miss you at BVVH! Thank you so much for sharing this wonderful and inspiring story. Anne your sacrifice is remarkable. I am very proud of you. We have been sending our prayers up for the last few weeks and praise God they are working for you and Shauna. This is a true Christmas story that ought to be on TV. Psalm 107:20 "God sent his word and healed them and delivered them from ALL destruction." We send that word into both of your lives now, in the name of our Lord. Both of you are amazing! So glad you are both recovering well from surgery. Shauna and Anne - Tom and I along with Philly, Gracie and Ernie send our love and prayers for a speedy recovery. Shauna & Ann We are praying for the both of you for a great recovery. You are "Fearfully and Wonderfully Made" Hope to see you back at the office when we do our run again - Soon! She's in great hands with the team at Penn. They did my husbands transplant almost 4 yrs ago for the same disease. Praying for you! Shauna and Anne, we are keeping you in our hearts as you begin this journey. We don't know how you do it Shauna, but you make Casey, Cali and Buddy feel like they are the cutest and best dogs on earth every time we see you. We can only imagine that you make all of the animals (and their people) feel that way! Wishing you a quick and complete recovery. And bless you Anne for being Shauna's donor. How amazing that you are a match! Thank You John Goodall for your generous donation to Shauna's fund today. You are so kind to help! Shauna has been such a blessing in dealing with all my fur babies craziness (and mine too!). Bless you in your medical journey. And bless your donor in her selfless act of love!